The Rüppell's Warbler (Sylvia rueppelli) is a typical warbler of the genus Sylvia. It breeds in Greece, Turkey and neighbouring islands. It is migratory, wintering in north east Africa. This is a rare vagrant to western Europe. The name is occasionally cited as "Rueppell's Warbler". 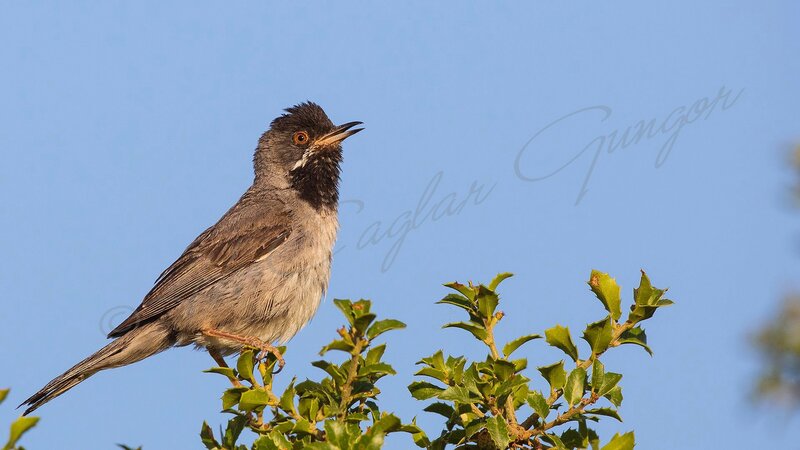 It is a typical "sylvia" warbler, similar in size but slimmer than Sardinian Warbler. The adults have a plain grey back and paler grey underparts. The bill is fine and pointed, with brown legs and red eyes. The striking male has a black head and, usually, a black throat, separated by a white malar streak ("moustache"). 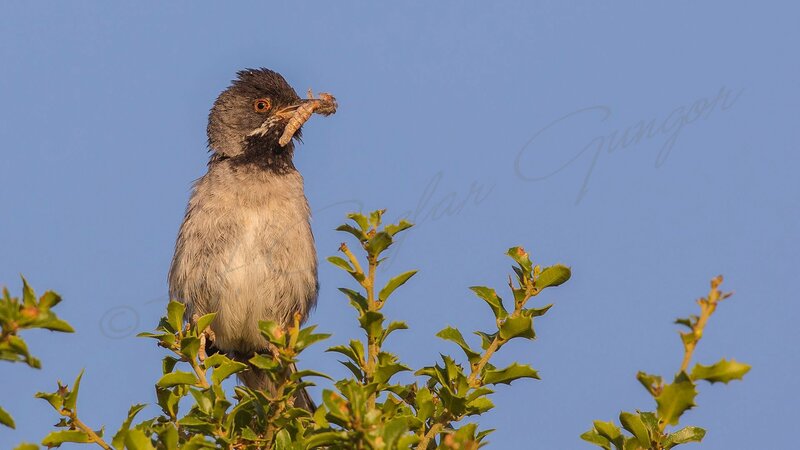 Females have a pale throat, and the head is grey rather than black. Their grey back has a brownish tinge. The song is a slower, deeper rattle than that of Sardinian Warbler. 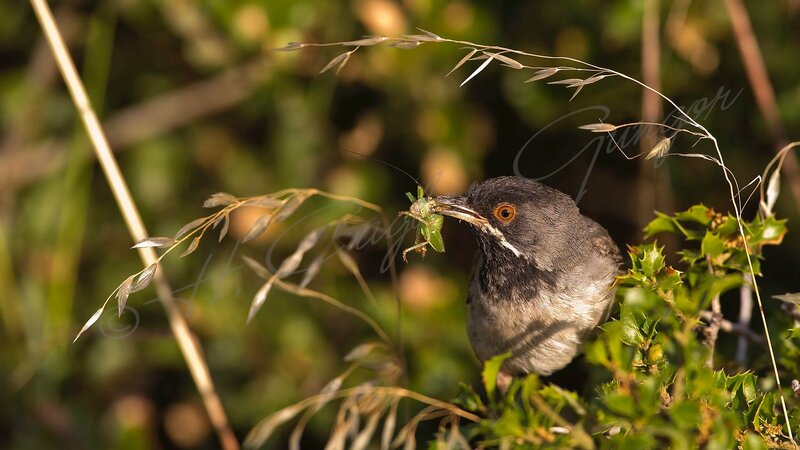 These small insectivorous passerine birds are found in thick thorny shrubs where they build their nests and lay four to six eggs. The species is named after the German zoologist and explorer Eduard Rüppell (1794–1884). Hope to meet you again with a new species soon.